Jennifer Byrne, author of Adopting Ahava, is a freelance journalist and writer of humor and fiction. 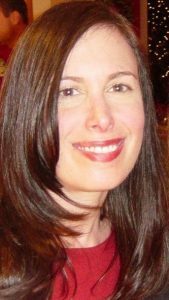 Her writing has been published on KidsHealth.org, The Philadelphia Inquirer, PopMatters, Newsday, and USAToday.com. She is the author of The Intrepid Parent’s Field Guide to the Baby (Adams Media, 2013). She lives in Glassboro, New Jersey.